Wilbert Plastic Services is a leading contract manufacturer of highly engineered thermoformed and injection molded components and assemblies for OEMs. We take great pride in our heritage and the outstanding reputation within the industries we serve. Our diverse engineering team can assist with tooling and innovative ideas to separate your products from the competition. With injection molding and heavy gauge thermoforming plants strategically located throughout the United States, we are able to support the manufacturing needs within 60% of the major metropolitan areas of the United States. 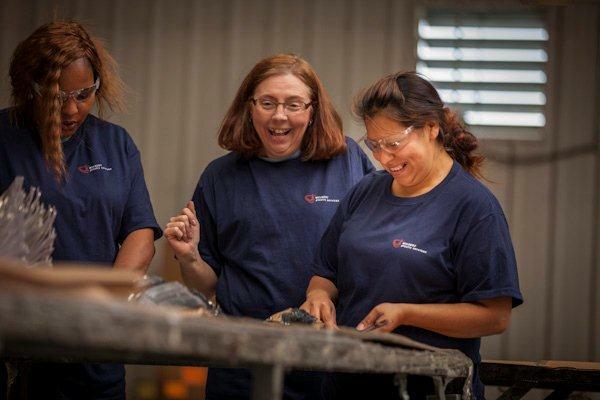 We recognize our injection molding company is only as good as the people who come to work for us every day. At Wilbert Plastic Services, we take great pride in hiring the best people to produce the best products and service our customers with exceptional pride. Let us show you what opportunities are available at Wilbert Plastic Services, and why we are the best injection molding company in the U.S. Fill out an application today, or contact us to learn more about a career in plastic injection molding & heavy gauge thermoforming.